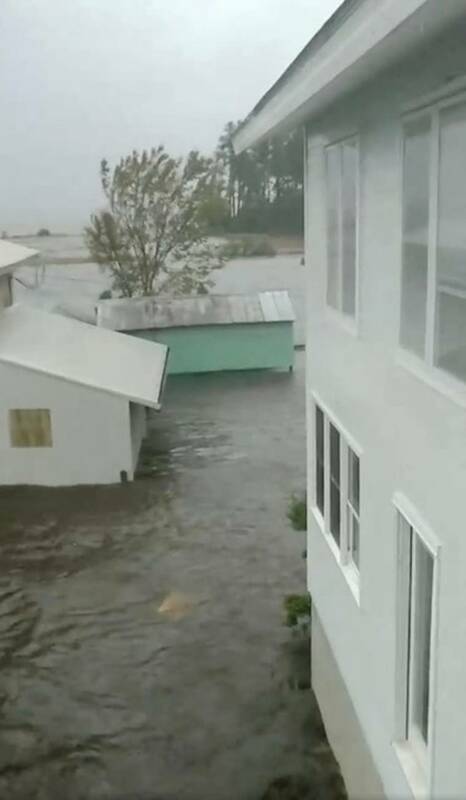 Hurricane Florence Highlights: More than one million residents from coastal areas of North and South Carolina and Virginia have been ordered to evacuate. Emergency declarations were in force in Georgia, South and North Carolina, Virginia, Maryland and the District of Columbia. 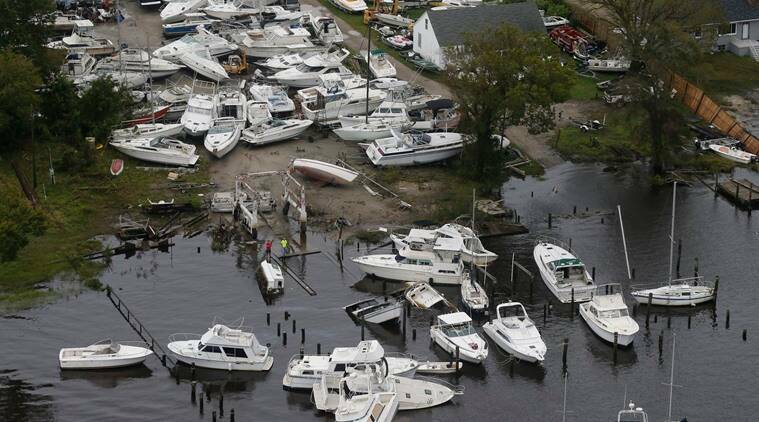 Hurricane Florence made landfall in the US state of North Carolina early on Friday, knocking down trees, gorging rivers, dumping sheets of rain, and claiming lives before it was downgraded to a tropical storm still capable of wreaking havoc. 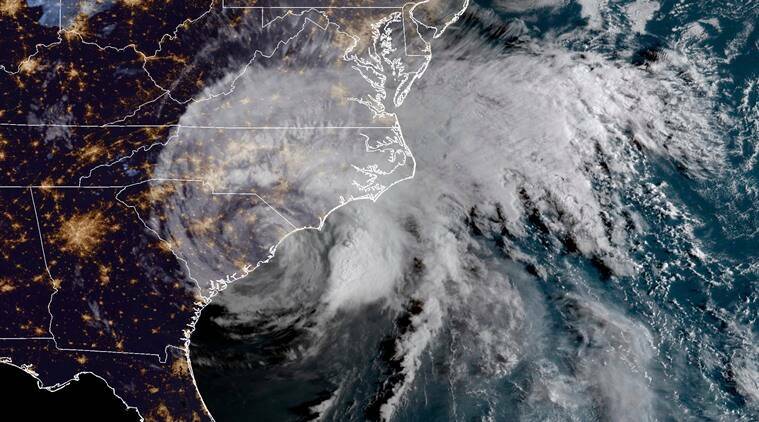 The National Hurricane Center in Miami says the core of Florence was located at 11 pm Friday about 20 kilometre west-northwest of Myrtle Beach, South Carolina. Top sustained winds are now about 65 mph, down from 90 mph. The storm is moving to the west-southwest at 7 kph, a track that is expected to continue through early Saturday. Forecasters say catastrophic freshwater flooding is expected over parts of North Carolina and South Carolina ahead. But, as the storm moves inland, it is expected to weaken. It could become a depression by Saturday night. North Carolina Gov. 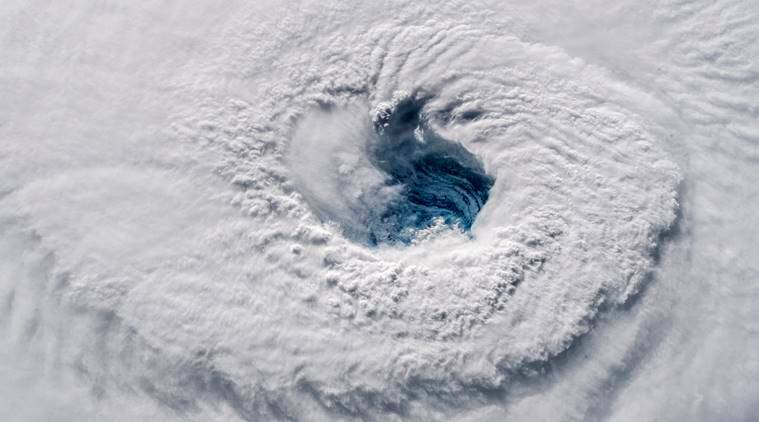 Roy Cooper called Florence an ``uninvited brute'' that could wipe out entire communities as it grinds its way across the land. ``The fact is this storm is deadly and we know we are days away from an ending,'' Cooper said. 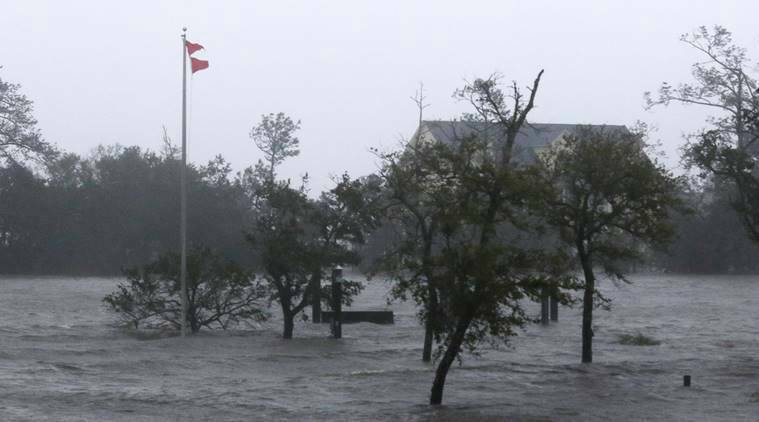 As 400-mile-wide (645-kilometer-wide) Florence pounded away at the coast with torrential downpours and surging seas, rescue crews used boats to reach more than 360 people besieged by rising waters in New Bern, North Carolina, Friday while many of their neighbors awaited help. Dozens more were rescued from a collapsed motel, reported AP. The Division of Public Health has advised against drinking well water in flooded areas. #FlorenceNC If you have a private well, do not turn on the electricity to your pump until flood waters recede. If extensive flooding has occurred, do not drink the water. Use your water reserves and bottled water until you well water has been tested. The National Weather Service tweeted out tornado warnings. At 8.00 pm (0000 GMT), Florence was downgraded to a tropical storm by the National Hurricane Center (NHC) but authorities warned the danger was far from over, predicting "life-threatening storm surges and strong winds" would persist through the night. 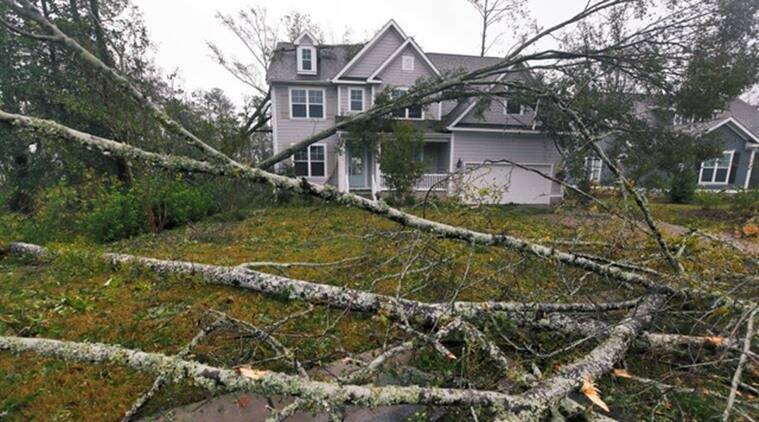 The dead included a mother and baby who were killed when a tree fell on their home in Wilmington, North Carolina. The child's injured father was taken to a hospital. In the state's Pender County, a woman died of a heart attack; paramedics trying to reach her were blocked by debris.Two people died in Lenoir County. A 78-year-old man was electrocuted attempting to connect extension cords while another man perished when he was blown down by high winds while checking on his hunting dogs, a county spokesman said, reported Reuters. 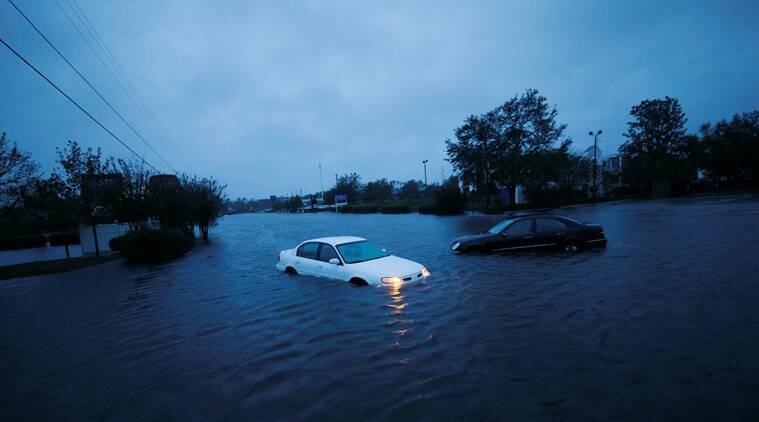 Hurricane Florence rolled ashore in North Carolina with howling 90 mph winds and terrifying storm surge early Friday, killing at least two people and trapping hundreds more in high water as it settled in for what could be a long and extraordinarily destructive drenching. 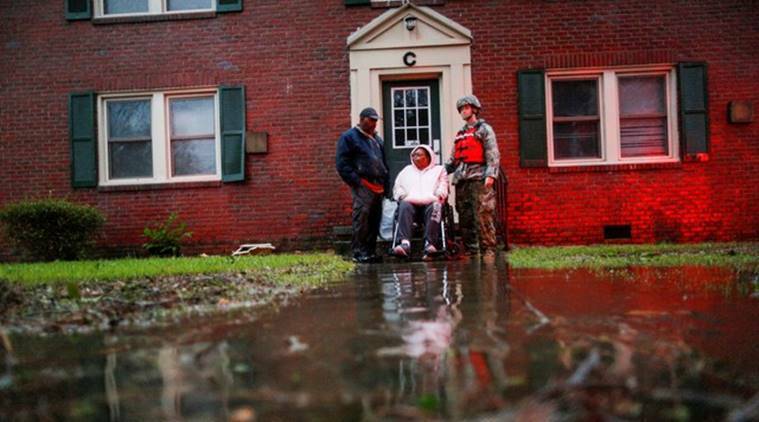 No storm-related deaths or serious injuries were reported in the hours immediately after Florence hit but authorities said more than 60 people, including many children and pets, had to be evacuated from a hotel in Jacksonville, North Carolina after strong winds caused parts of the roof to collapse. Hurricane Florence made landfall near Wrightsville Beach, North Carolina at 7:15 AM EDT with estimated maximum winds of 90 mph (150 km/h), according to the National Hurricane Centre. According to the North Carolina Department of Public Safety, the number of homes without power appears to be more than 3,70,000. The storm was expected to move across parts of southeastern North Carolina and eastern South Carolina on Friday and Saturday, then head north over the western Carolinas and the central Appalachian Mountains early next week, the NHC said. The significant weakening was expected over the weekend. 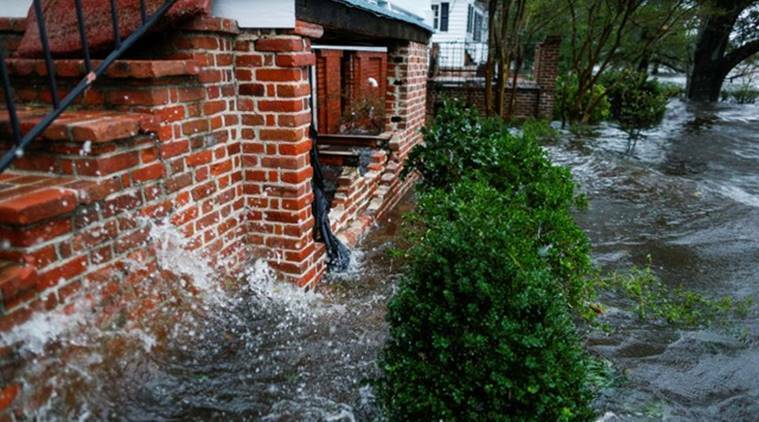 About 1.7 million people in North Carolina, South Carolina and Virginia are under voluntary or mandatory evacuation orders, and millions of others live in areas likely to be affected by the storm. 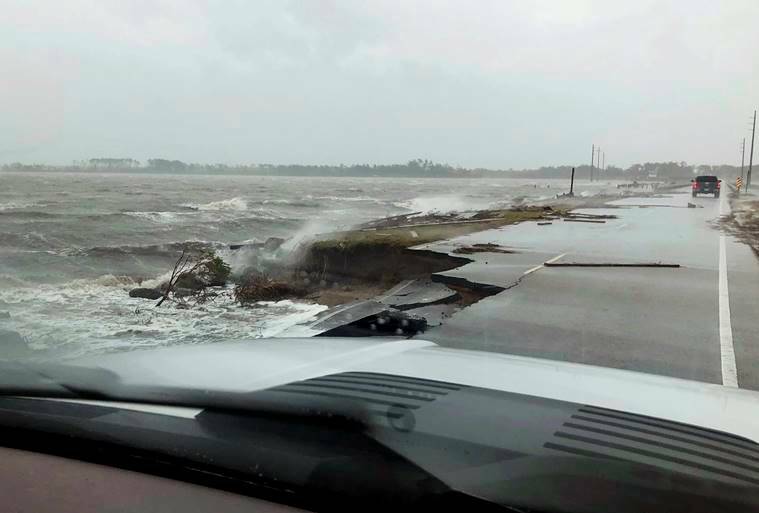 A state of emergency was declared in five coastal states -- North Carolina, South Carolina, Georgia, Maryland and Virginia.